If you’re looking for healthy, simple smoothie recipes chalk full of good nutrition, you’ve come to the right place. Below you’ll find all the healthy smoothie ingredients used in at least one, but usually many more, healthy smoothie recipes found on Healthy Smoothie HQ. Simply click on an ingredient to drill down to the recipes it’s featured in. 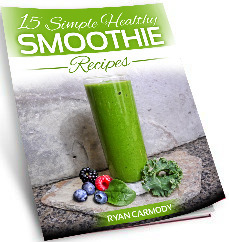 With over 200 healthy smoothie recipes and counting, I want to make sure you find what you’re looking for. You can also use the search box in the upper right hand corner to locate a smoothie, or hover over the Recipes menu item to peruse nutritional smoothies by category. Aim for local, organic ingredients whenever possible for optimal nutrition and taste. Happy Blending!